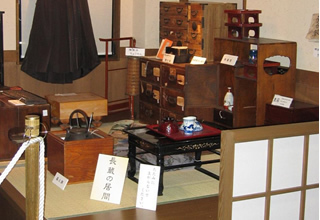 The Narita Yokan Archives Museum presents exhibits that illustrate the long history of NAGOMI-YONEYA, established in 1899, and the origins of Yokan. *The museum will be closed only when exhibits are being changed. Here, visitors can see the actual head clerk’s desk that was used during the first half of the 1900’s. Please take a look at the pamphlet* handed out when you enter the museum. *Sorry, no English version available. Planned exhibitions are arranged based on themes such as Japanese confectionary or the Naritasan Temple. Here, visitors can watch videos on how Yokan is made nowadays. 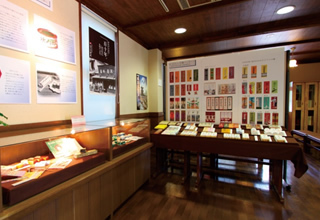 Photographs of Yokan production using machines during the early days of the Showa era (1926 - 1989) are displayed on the walls so that visitors can compare the past with the present. Here, for 100 yen, visitors can draw fortune slips that contain Yokan. Here, visitors can see the chronology and photographs of changes that have taken place in YONEYA, Narita, Japan and the world. How did the Yokan of modern times come into being? 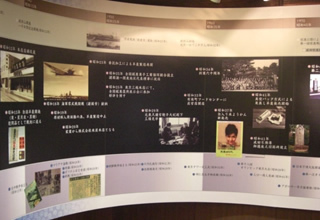 This section presents the history of Yokan so that visitors can see the origins of Yokan and how it has changed over the years. 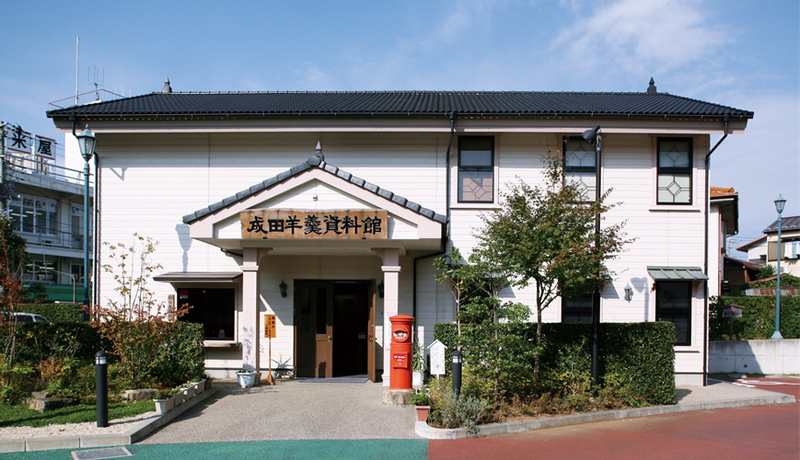 Here, visitors can see exhibits of Yokan from regions throughout Japan from Hokkaido to Kyushu. Here, visitors can view exhibits illustrating examples of YONEYA’s world-leading undertakings. 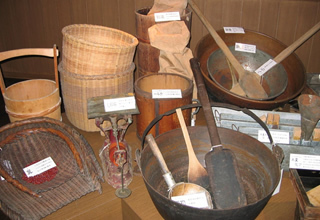 This area presents exhibits of utensils that were actually used to make Yokan set out in the order of processes. Visitors can also view photographs displayed on the walls that illustrate changes in the Flagship Shop from the days of its establishment to modern times. 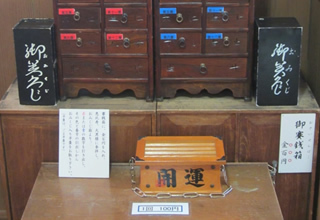 Here, visitors can view some of the favorite items of Chozo Morooka, the founder of YONEYA. 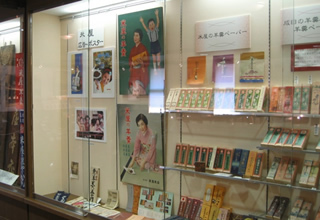 This area presents exhibits of nostalgic Yokan packages. Here, visitors can view exhibits that illustrate the relationship between Chikuro Hiroike, the founder of Moralogy, and Chozo Morooka and the spirit of YONEYA. This area presents a display of adzuki beans, sugar and agar, the ingredients actually used to make Yokan.